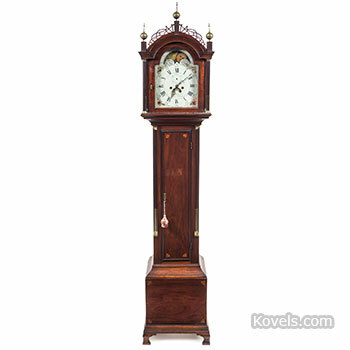 Tall case clocks, better known as grandfather clocks, have always attracted collectors. This Federal tall case clock was made by the well-known Boston clockmaker Aaron Willard and sold for thousands at a recent Chicago auction. Learn how to distinguish a $200 from a $12,000 clock. 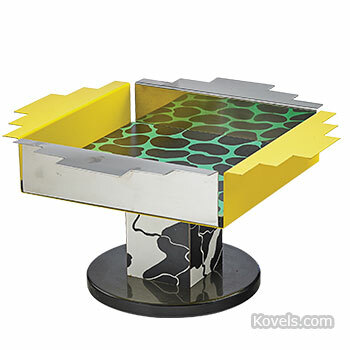 Turn to the article before it’s too late to discover valuable collecting tips about these grand pieces of furniture. Fisher-Price toys have stayed popular since 1930 and there are versions for every decade. 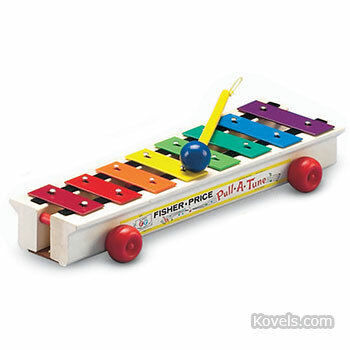 Collectors look for wooden versions of perennial favorites like this 1964 Pull-A-Tune Xylophone. Wooden pull toys and Little People earn high prices. Discover what some of your favorite Fisher-Price toys might be worth now. A beer stamp was used to pay the tax on a barrel of beer. A cancellation adds to the value, as does a printing error. 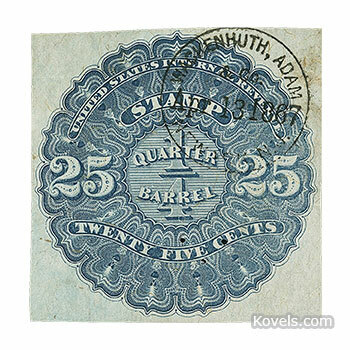 This 1866 25-cent beer stamp has a clear hand stamp cancel. It’s a little known area of stamp collecting and an interesting addition to a beer collection. In a recent sale, prices ranged from under $300 to more than $50,000. See more photos and prices. 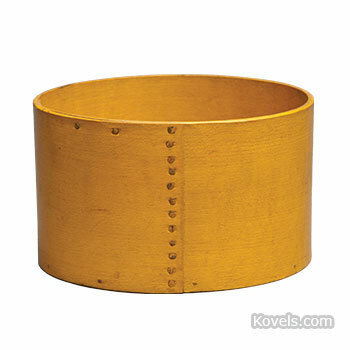 Form follows function in Shaker antiques. A recent auction of objects from the religious group included more than 60 tools and handmade items like this yellow dry measure. 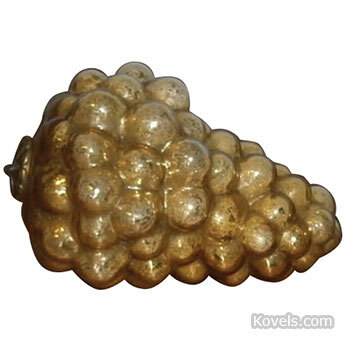 With 12 copper tacks, it was purchased in 1948 for $1.50. Find pictures and current prices of more Shaker goods. The Memphis Group was founded in Italy in 1981. Their designs pushed the boundaries of modernism. They cross categories and can stand alone or add to a collection. Nearly 40 years later, pieces like this enamel and metal fruit bowl are going for twice what they sold for just two years ago. See pieces that make a statement. Farm toys have perennial appeal. Toy tractors, farm accessories and the figures of horses and workers that go with them can be dated. 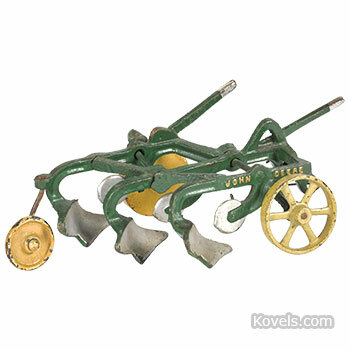 Older cast iron toys, like this replica of a John Deere plow, bring higher prices than newer tin litho, aluminum or plastic toys. See more toys and their prices. 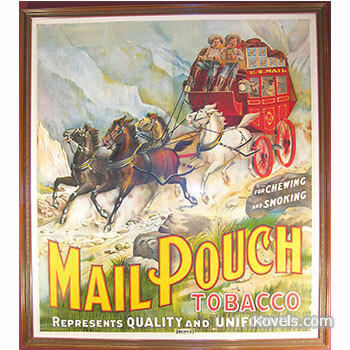 This eight-foot-tall Mail Pouch sign brought the highest bid at a recent three-day sale of western goods. Buffalo Bill ephemera, cigar tins, cowboy boots, calendars, and more captured the spirit of America's westward expansion. Gitty-up to for more photos and prices. Many collectors of Christmas ornaments treasure them for sentimental reasons, but they can also be quite valuable. 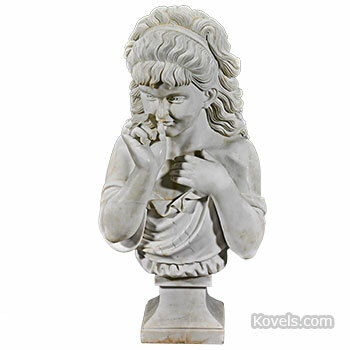 Life-sized marble busts are making a comeback. These torsos are popping up in sales and prices are the highest in years. 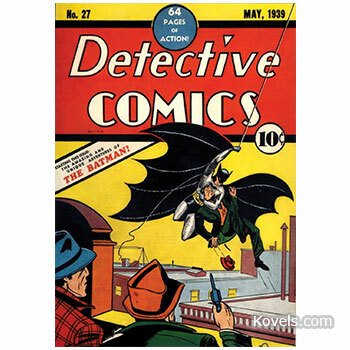 The Kovels sat down with Chaz George to discuss his well-known Batman collection. The new movie Justice League is coming out in November, and it should create another surge of interest in the famous comic character.